Looking For A Better Way To Organize Your Color Area? Who enjoys their color area looking a mess!? Bottles/tubes everywhere, color bowls all over the counter..What a NIGHTMARE!!! 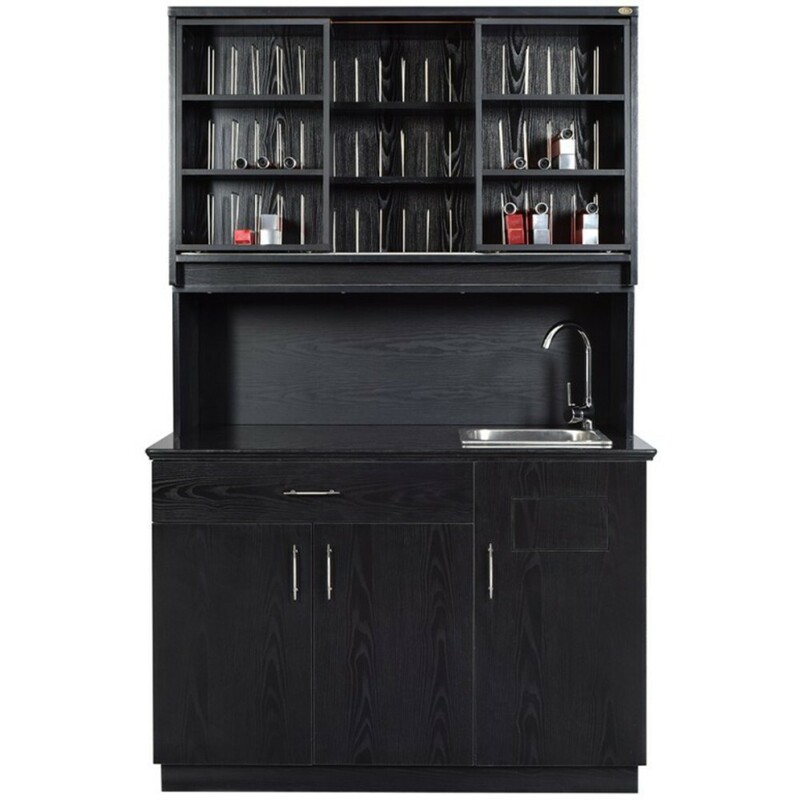 The Dir Color Bar Granite is beautifully balanced with Ash Black wooden finish along with a granite counter top for easy cleaning and everlasting use! This unit features a double-layered chemical storage rack. Back section for not everyday used chemicals, and front sliding cabinets for daily used chemical house in stainless steel racks. This unit also utilizes a large pull-out drawer along with two cabinets below for towels and storage, along with a side drop-in opening for unwanted towel or trash! The stainless steel sink also comes with a single handle faucet and drain assembly, all water supply lines included. AMAZING! Your employees will thank you for this! Airbrush tanning is the fastest growing trend in the industry! 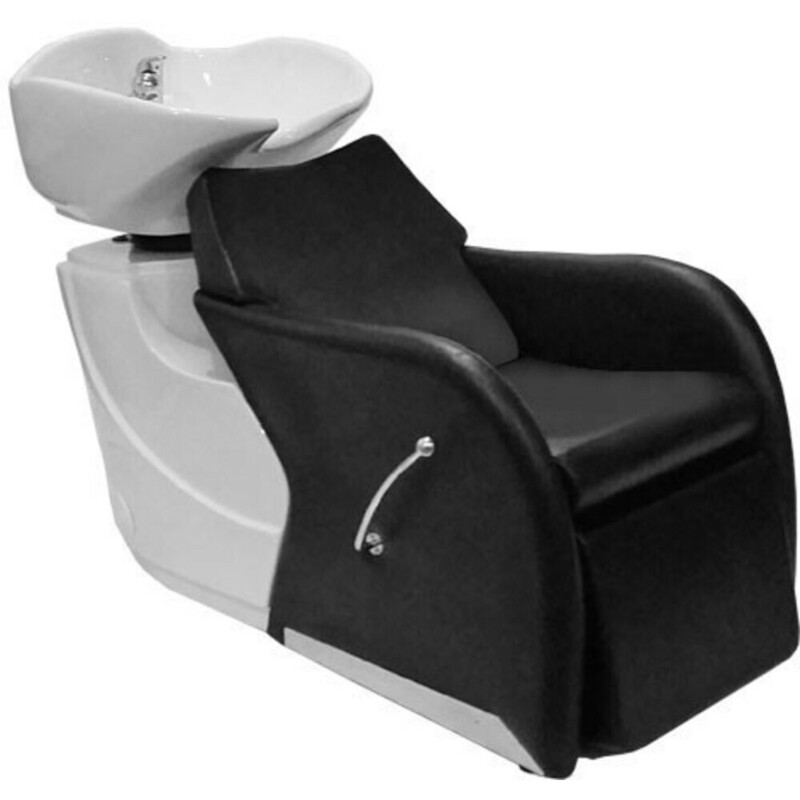 Bringing this service into your salon/spa will boost profits almost immediately! Wedding season, prom season, spring, summer fall, even winter! Don't know where to start? We have packages to help get your new service off the ground! Check out the Pure Bundle Fuji 3000 tanning package. This system has 1/2 the noise level than typical turbines, and includes everyone favorite tanning solutions : Moroccan Mineral Signature Tanning Mist, and the New & Improved Pure Sunless Reserve Stock Tanning Mist! This bundle also includes our best selling mineral detox body scrub to retail! The Desert Mineral Detox Body Scrub - Anti-Cellulite Formula Softens the appearance of skin with each use. Leaves skin toned and pH balanced for superior sunless tanning results. Clean, exfoliated skin is best for ensuring sunless tans develop in a more uniform manner. In our very busy society, clients are more than willing to pay for convenience...if it seems comfortable and valuable. How can spas market this to increase profits? Become a one-stop shop for your clients! In recent years, we have seen "niche" spas and salons growing...blow dry bars, weight loss clinics, brow bars, and the like. However, many spas are taking the other road, and finding it to be a very profitable road indeed! Offering a variety of services and products all in one place, encamped in a warm and welcoming space that encourages browsing (and ultimately buying), is a great way to endear your business to your clients. Even incorporating fitness classes can add to the atmosphere! Our society today is a very social society, so a friendly, casual space where friends can meet and enjoy services together will also increase your customer loyalty. Friends don't have to have the same services performed, but maybe one is looking for a mani/pedi, and another is needing a blow out and brow shaping. With your one-stop shop, they can each have the services they want performed, while never missing a beat in their conversation! If you are nervous about expanding your menu to offer some out of the box services to your clients, don't be! Pure Spa Direct is YOUR one-stop shop, and we can assist you with ALL of your spa needs! Are you a hair salon looking to expand into some nail or massage services? Pure Spa can help you with all of the products, furniture, and equipment you need to offer your clients amazing services this spring! A massage clinic looking to expand into facial services? Don't worry, Pure Spa can help with that as well! Contact our friendly and knowledgeable Customer Service team today, and see how you can expand your menu without stressing about it! We can be reached during our regular business hours of Monday through Friday, 8:30 AM - 5 PM EST at 800-434-0018. Busy during the day? Feel free to browse and order online 24 hours a day, 7 days a week! Questions? Email us at any time at service1@purespadirect.com!